Home Box Office (aka) HBO is one of the top television channels with over 127 million subscribers across the globe. It’s one of the top premium channels in the United States. It has also got a number of channels on their network. HBO is also available in HD quality and can be watched from any device. 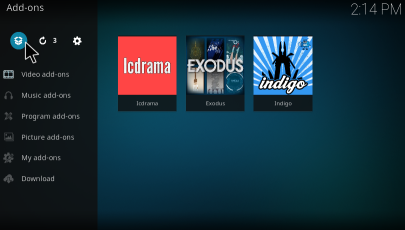 So as our point of interest is about watching hbo on kodi we have come up with this article. 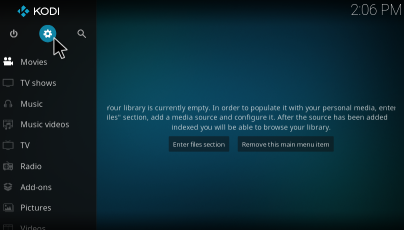 How to install HBO on Kodi krypton 17? 1. 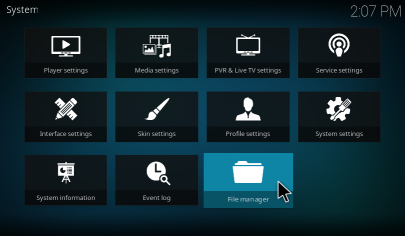 Initially open kodi and on home screen click Settings Icon. 2. Then select File manager to add the source file. 3. Now double click on Add source from the left column. 4. A pop up window will open to add the file source. In that select <None> to enter the path. 6. The name of the folder will be named as Secret. Then click on OK.
7. The next step is to install the zip file. For that go back to the home and select Add-ons. 8. Click the icon as shown in the image below. 10. Now scroll down and look for “Secret“. 12. Wait for a few minutes to get the addon installed. 13. It’s done now! You have successfully installed the addon. Next step is to watch hbo on kodi. 14. 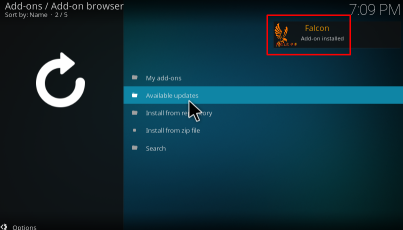 Get back to home screen and open Falcon addon from Add-ons -> Video Add-ons. 15. 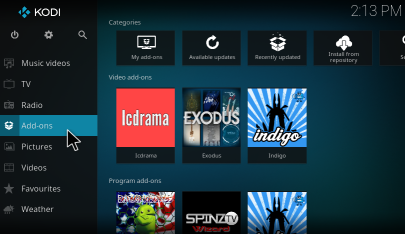 Now you will find a list of features like IPTV, movies, sky movies, TV shows, sports and much more. From that for watching hbo you have to select Falcon IPTV. 16. Here you can find the category of TV channels based on the location. Just select USA TV for watching HBO on kodi. 17. Now scroll down and find HBO HD. 18. It will load the servers for sometimes and the HBO channel will be live on your kodi. Enjoy watching HBO on kodi mates. 19. Along with HBO HD you can also watch HBO2 HD, HBOComedy HD, HBOFamily HD, HBOSignature HD and HBOZone HD. This is one method of watching HBO. 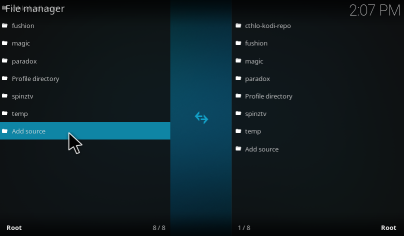 There is another where we will be using adryanlist kodi addon. 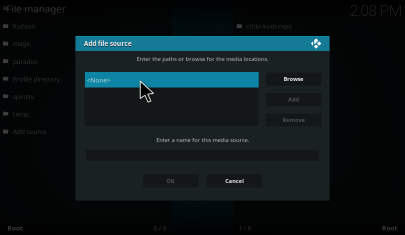 As we already have written a detailed guide on installing adryanlist on kodi, let us now quickly explain how to watch HBO on kodi with adryanlist addon. In the new window, select Ultimate IPTV. Next select Sky UK USA Canada + Asia mix ABC HD sky. 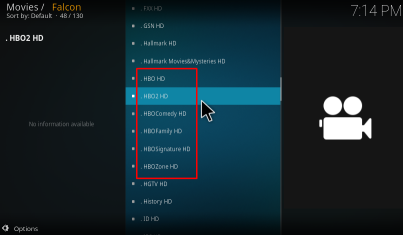 Now scroll down from the list and choose HBO HD to watch hbo live with kodi. 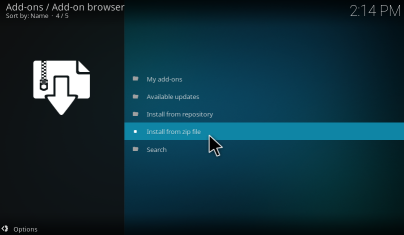 install from zip-secret the choice plugin .video.fakmov.zip does not show. plugin.video.falcmov.zip is the choice. When this is chosen there is no IPTV available. What has changed? 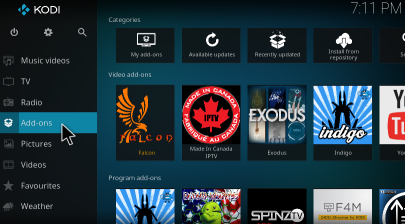 I don’t find the iptv section… why is it? I found no IpTV either. Help!!! please do wait for some days for the update! Today ís July 16, 2017. Still no update? i managed to follow your directions and download / install it. 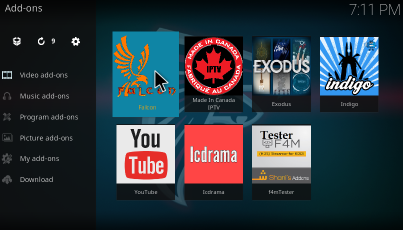 tthere is no Falcon IPTV but when i click falcon shows. i find game of thrones like i wanted but by the time i scroll down my firestiick restarts. i cant even click the show to find out if it would play…. 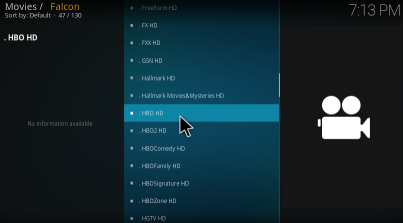 I am struggling a lot to install HBO plugins on Kodi v17. It fails due to some kind of dependencies, and never succeeds, for any of the repos i have enabled. Any correct pointers would really help. No Falcón IPTV. You can`t watch HBO with this plugin. 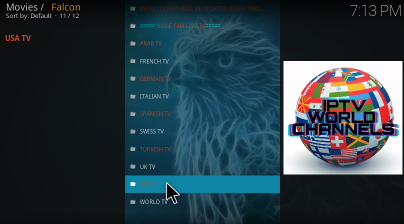 No IPTV waiting for up date for many weeks but it never happen very disappointing.